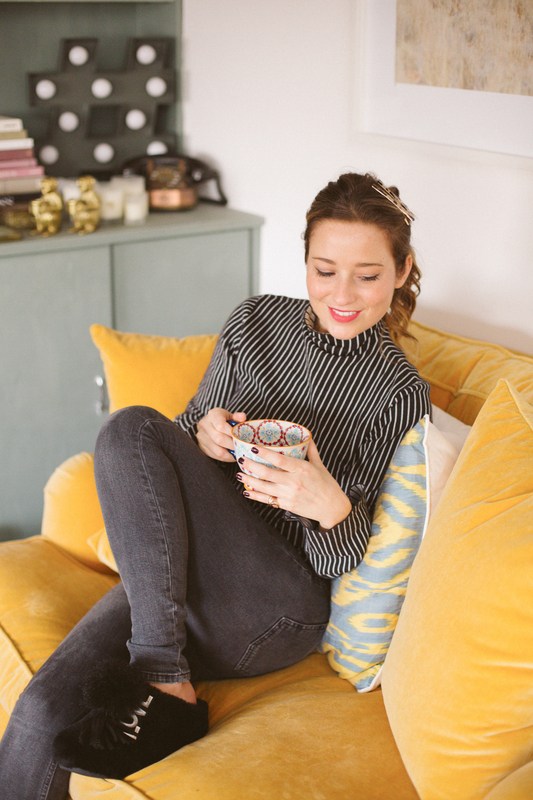 I moved to my flat in Notting Hill three years ago, after a short but tumultuous period of bouncing around from house to flat, and at one point, hotel room to friend’s sofas. Although still an ongoing process, slowly making this little one-bedroom flat, with its creaky black floor boards and New York loft style exposed brick and sky lights, my own, has been a total joy. Saving up for things has taken time, and in some cases, some extreme willpower (fixing windows over buying new shoes, for instance, takes the strength of an ox…!) and the arrival of my long-lusted after jade velvet sofa of dreeeeeams this month, just in time for my impending hibernation, has been a triumph. Basically, I feel at home. I know, the word LUCKY springs to mind. Especially when one in five people across the world are living in slums or substandard housing, propelling them into a grinding cycle of poverty. When someone lacks a home, their health, well-being, educational prospects and ability to earn a living all become affected. With this in mind, FitFlop are supporting Habitat for Humanity this year, a global non-profit organisation which helps build homes for families in need around the world, offering them strength, stability and self-reliance through much-needed shelter. 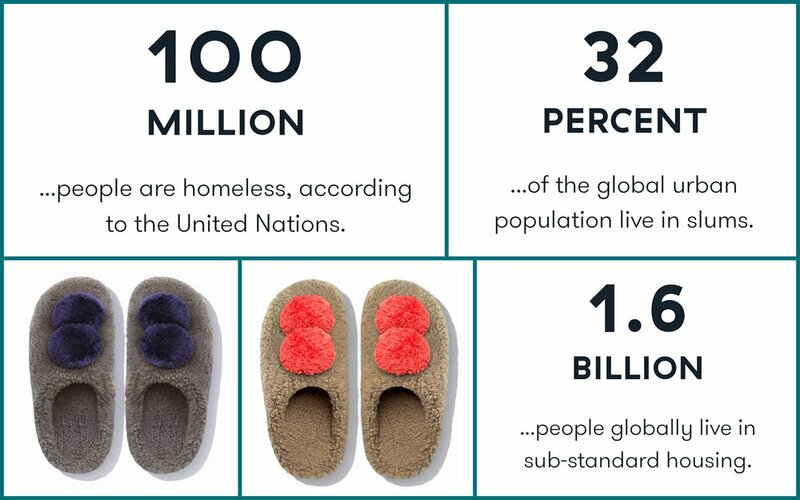 20% from each purchase of a pair of FitFlop House Slippers, in all their cloud-like double shearling and fluffy pom pom glory, is made to Habitat for Humanity. Since 1976, Habitat for Humanity has worked tirelessly to provide access to decent housing for families in over 70 countries. From building homes and providing villages with clean drinking water, to natural disaster relief and micro-finance, this organisation have amazingly helped over 10 million people worldwide. 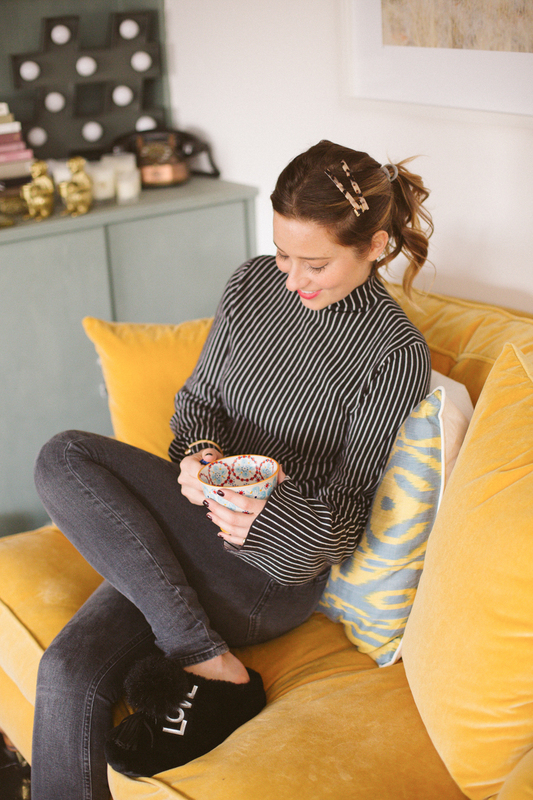 The FitFlop House Slippers are available in two different colour ways, and I was immediately drawn to the charcoal grey pair with midnight blue pom poms. Not only have I practically not taken them off, but several of my friends have already gone and bought themselves a pair after seeing mine. With Christmas fast approaching, these make the perfect ‘Buy to Give’ present… Even if that present miiiight be to yourself… Hey, no one’s judging here! Oh, and if that wasn’t enough, this pair of beyond comfortable, limited edition LOVE Slippers also see 20% from each sale go to support Habitat for Humanity’s life-changing work. What’s not to LOOOOOOVE, huh?! Marcia Kilgore, Founder of FitFlop.